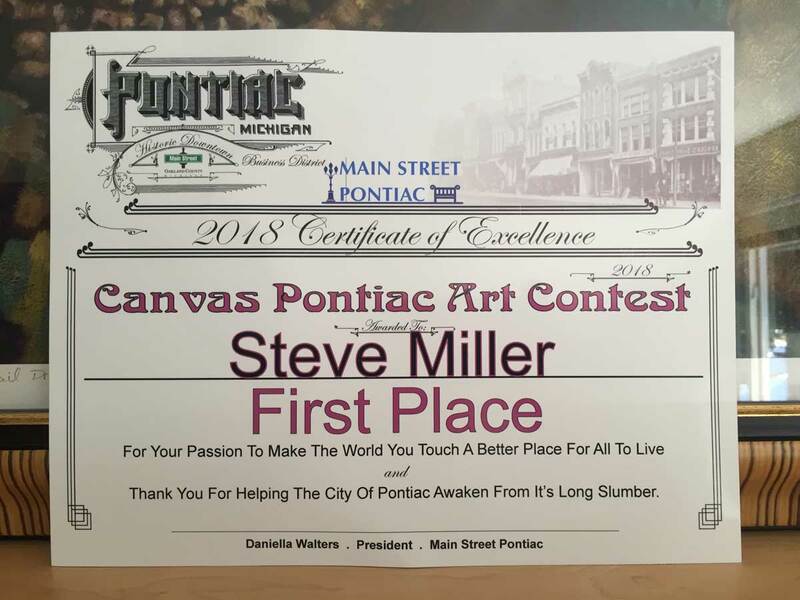 As an independent artist, I am very grateful to have received a first place award from the Canvas Pontiac art competition for my painting Trail Dreams. The judges responded by saying, "from weaving paths through the forrest, with trees that change in and out of focus, a river that leans diagonally to the left, it's perfectly positioned in the pocket part, and really captures your imagination." With this recognition, and prize money, I will continue painting large scale imaginary landscapes that give viewers new places to explore and enjoy. I'm thankful for the opportunity to have this painting seen by so many people through this program. 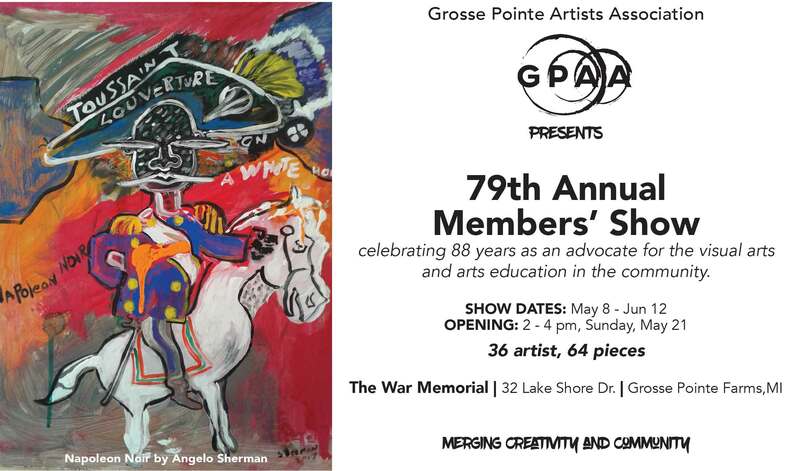 My 8'x10' banner will continue to hang on the side of the building located at 35 N. Saginaw, downtown Pontiac, MI., for a full year. 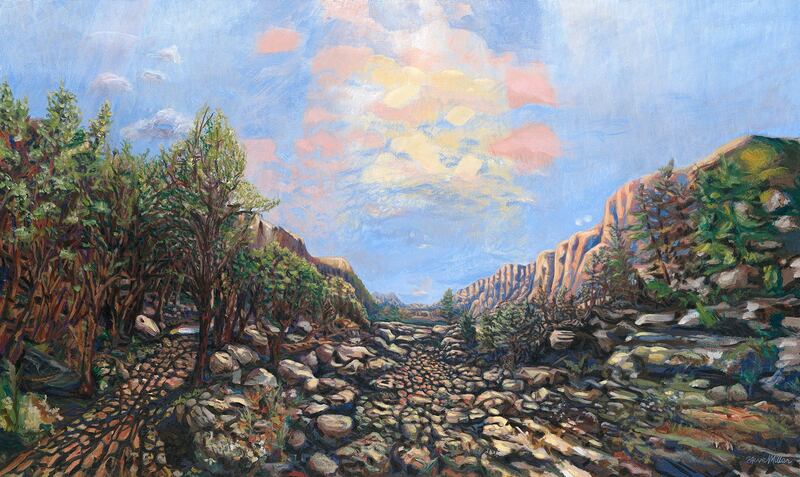 Just finished this big trail painting today. I took several pictures, so I could make this little animated gif and look back at the work in progress. This painting was inspired by mountain biking in SE Michigan, but is not an actual place. It’s just a daydream built on good memories of getting out there and contending with the trail. Feeling the exhilaration of moving through the trees, and finding all these great things to look at, if only for a moment. 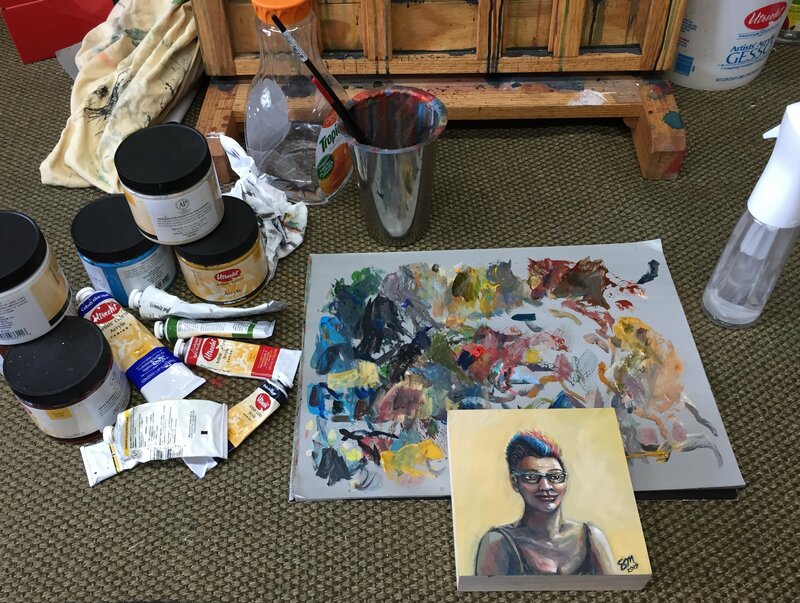 Working on this little portrait of my awesomely awesome wife, Tiffany. I’m just about done with it, I’ll get a solid photo soon, but first I want to paint portraits of my beautiful girls too.